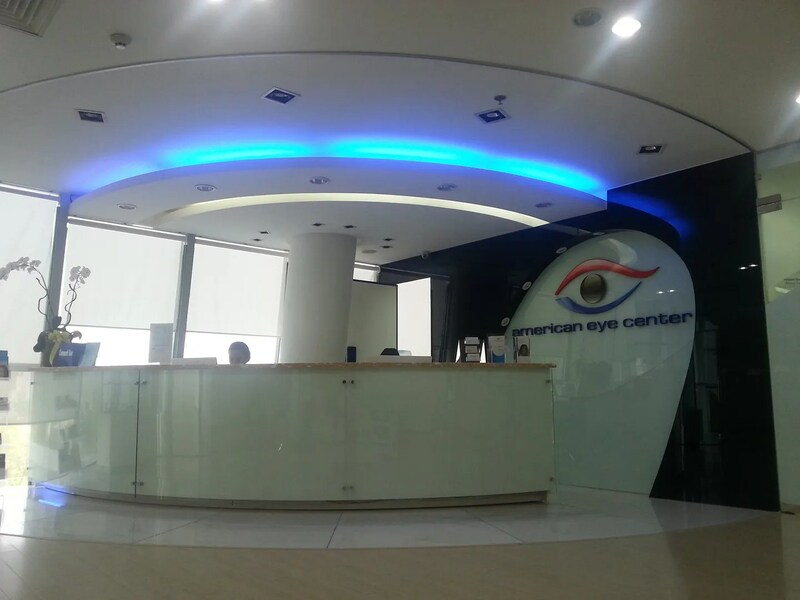 American Eye Center | Hello Saigon! I had the worst luck last week. After an allergy attack last Sunday due to sardines which caused me to go to the ER, I experienced eye strain on Monday which eventually led to a real bad headache. The fatigue and stress from the allergy attack last weekend + eye problem can only mean a bad week. Since I haven’t seen an eye doctor since we got here in Vietnam, I thought it would be best to see one now. So enter American Eye Center at the 5th floor of the Crescent Residence. My eldest went along so it was pretty cool to see this mini-play area. 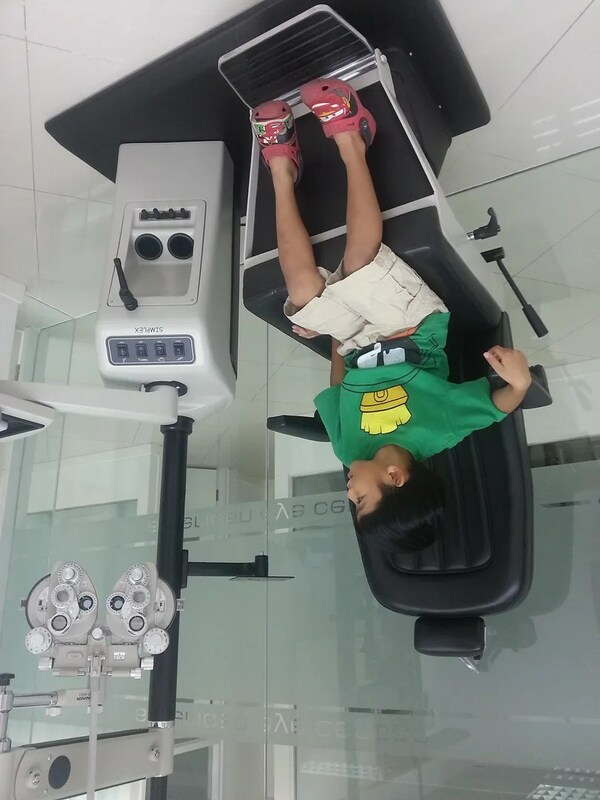 You can actually bring family along while you have your eyes being checked. Sam got to hang out in one. Two doctors saw me, including the head, Dr. Nam Tran Pham. Dr. Pham was actually the head of Ophthalmology in FV Hospital when she decided to have her own practice bringing in other doctors with the her same philosophy. I’m so bad with names but the main doctor who saw me was fantastic. He was very thorough and explained every test and answered all my questions. AEC’s equipment were pretty spiffy too. Overall, I highly recommend AEC. The price may be a little expensive but the equipment, customer service, and thoroughness of the doctors makes everything worth it. Oh and since I used an HSBC credit card, I got 10% discount. My eye is still in pretty good shape (+0.75) but the dryness is really bad. The doctor recommended eyedrops and a pair of reading glasses to help me focus when reading and using the computer. 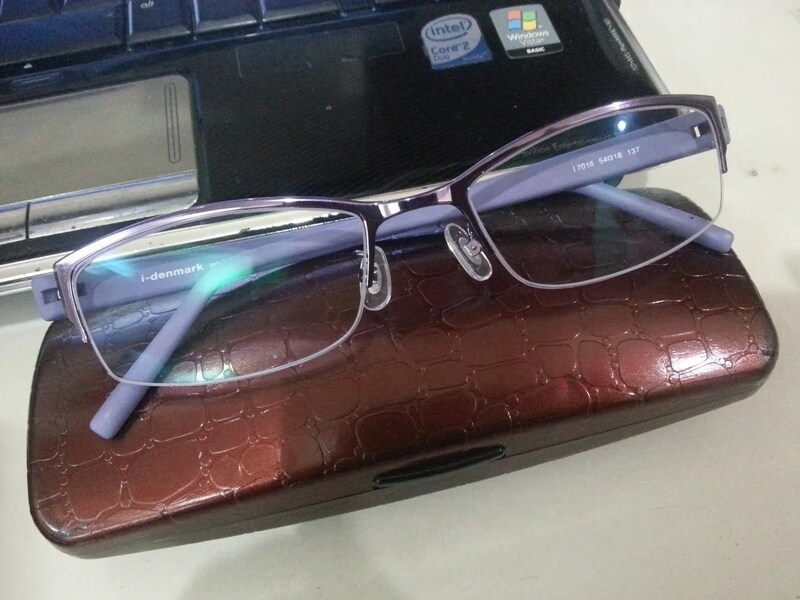 I bought the glasses from Sky Optical Group in Sky Garden 1 — the same one found in Lotte Mart. They’ve got a lot of frames to choose from and best of all, they give discounts as they have just opened their shop in Sky Garden. 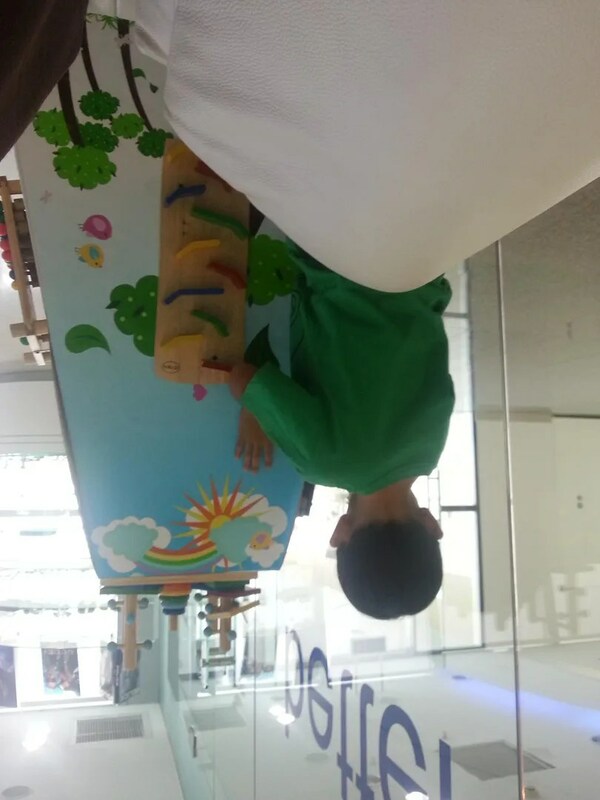 This entry was posted in Exploring Saigon and tagged American Eye Center, Crescent Residence, Sky Optical Group. Bookmark the permalink. How much did it cost for the eye check up? 936,000 VND. Less 10% discount when using HSBC Credit Card. Whoa! Which eye center is that? That’s crazy expensive! Guess I walked in looking like an easy target. haha. In hind sight, I probably shouldve went to a few places to get quotes. Ps- Love your blog BTW. Don’t beat yourself up. I actually felt the 936kVND is really expensive but I just went ahead because it’s highly recommended by a friend who has been going there for years. I didn’t check other eye centers too!